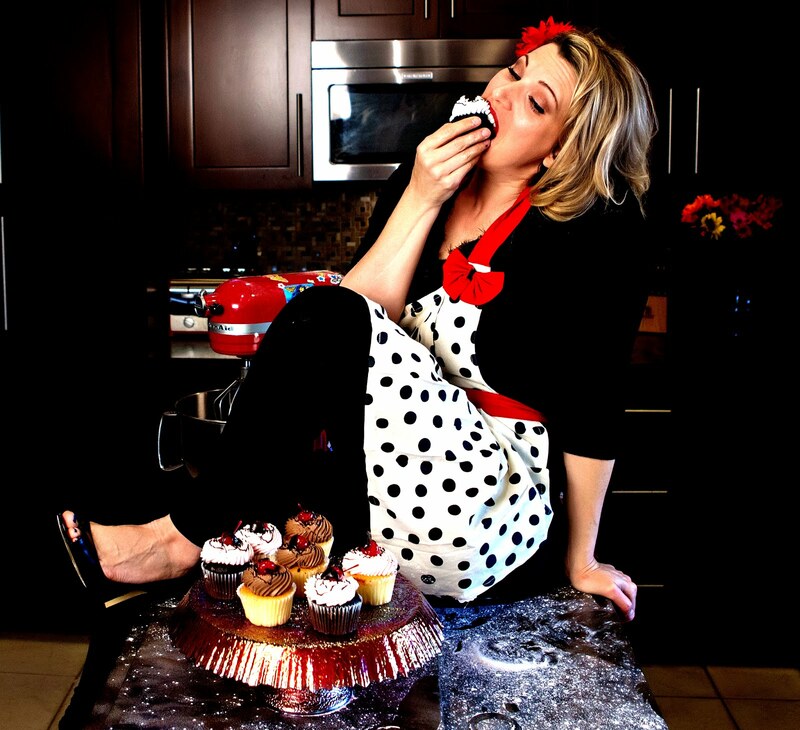 This is the last week of the Real Women of Philadelphia contest. I've submitted everything I can, made new friends, started a blog, entered other competitions and had success. Something tells me this is only the beginning. I couldn't have chosen a better competition for my first venture outside the kitchen. Someone asked me the other day if I was sick of cream cheese...I'm not. I'm addicted to it now. I've learned that you can add it to just about anything. It makes a great lower calorie substitute for butter or cream, but still gives you that thick, creamy texture and adds a bit of tang. Use the light version and save even more calories! I've had lots of success in the kitchen with this competition, but I also had a MASSIVE FAIL yesterday! 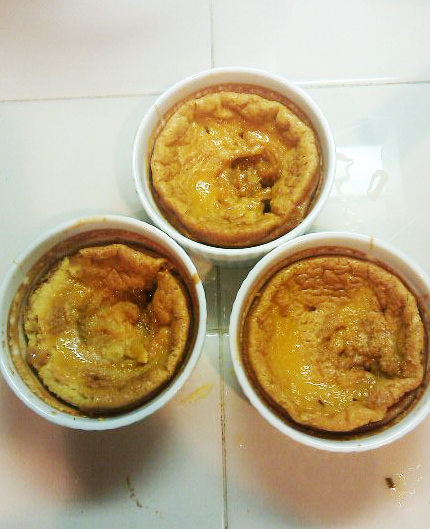 I've been itching to make pumpkin flan, based on a few different recipes I've seen over the last few weeks. It seemed easy enough, evaporated milk, eggs, pumpkin, etc. The first day, I made a hollow, flat souffle out of it. One of my friends said perhaps some things were better left unaltered. I refused to give up. I tried again today...TWICE! FAIL AGAIN. The first batch today was mush, just gross, lifeless sludge. the second batch is still cooling in the refrigerator, but is somewhere between the flat souffle and the mush but is so stuck to the edges of the ramekin, its going to take a chainsaw to get it out of there !!!! 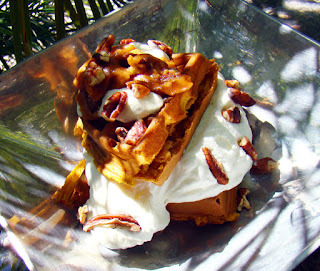 If I had to choose a favorite recipe from the competition, I'd have to say its the Pumpkin Cheesecake Belgian Waffles. Everyone knows I love pumpkin pie spice (and pumpkin EVERYTHING! ), but these waffles are sooooo yummy and fun to make! This competition opened lots of doors for me and the end of this one is just the beginning of everything else. I'll be competing in the Aetna Healthy Food Fight this weekend for the San Diego Regional Championships. I can't wait to see where we go next !